Kedama system, Black Rise region. 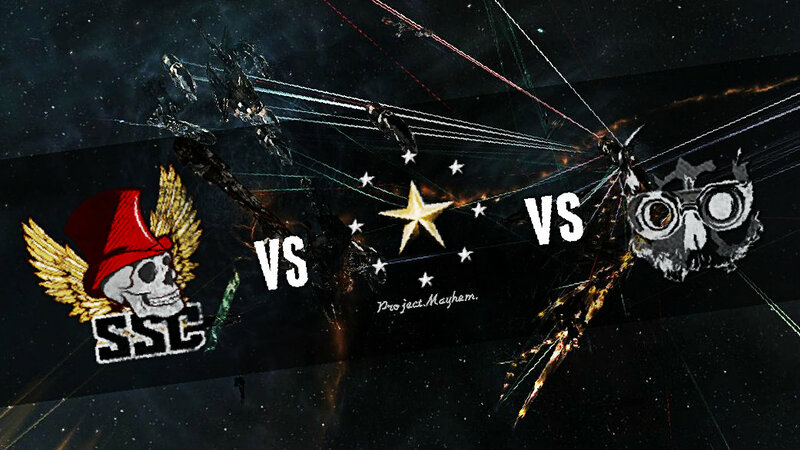 On the 18th of October at 18:45 EVE Standard Time, a memorial fleet headed by members of Sleeper Social Club [SSC] clashed with Project.Mayhem. [16-13] in the system only to be interrupted by Snuffed Out [B B C] in what quickly became a three-way battle. The memorial fleet headed by Sleeper Social Club was assembled in the memory of Sto Lo, a valued member and FC in the alliance who passed away due to health complications (You can read his biography here). To honor it, current and former Sleeper Social Club members and other individuals who knew him assembled a 75 pilot Battleship fleet with Triage Carrier support put in reserve. 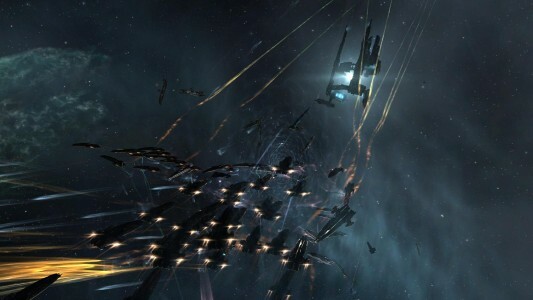 The plan for the fleet was to head to the Black Rise region in order to pick a fight with its residents as it is known for its many active PvP alliances. Should it fail to pick a fight there, the fleet would have continued on to the Cloud Ring region linking up with its Triage support, where Pandemic Horde [REKTD] and other entities regularly clash. As the fleet made its way through the region, it was spotted by Project.Mayhem. scouts who relayed the information to their Fleet Commanders. 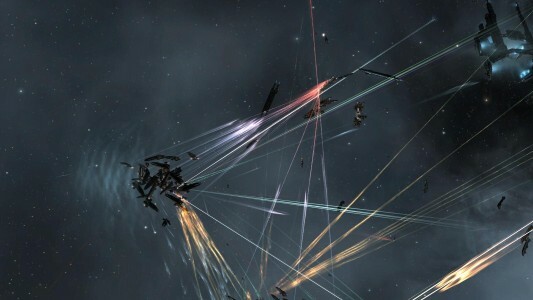 Quickly, they decided to organize a 80 pilot Machariel fleet with Triage Carrier support and drop on the memorial fleet. However by the time they managed to organize their forces, the memorial fleet left the jump range of the Carriers. Not despairing, a call was made for several pilots to re-ship to Guardian Logistic Cruisers and the entire force bridged to the closest system to the memorial fleet and started burning ahead in order to catch up. When the memorial fleet reached the Tama system, its scouts caught a glimpse of the Project.Mayhem. fleet which had just entered the neighboring system of Kedama. Deciding to fight it, the memorial fleet jumped into Kedama and the waiting Project.Mayhem. fleet, signaling the start of the battle. The engagement proved to be a close range inferno, as the Machariels and the memorial fleet Battleships fought at point blank range on the Tama gate. As the two sides exchanged fire, the Project.Mayhem. side managed to tank the incoming damage well, thanks in part to its robust Logistics wing while the memorial fleet was bleeding ships. To even it out, the memorial fleet lit a cynosural beacon on the gate and jumped in 3 Triage Carriers. Immediately, the Project.Mayhem. fleet switched fire from the Battleships to the Triage Carriers, using its Energy Neutralizers to drain their Capacitors and shut them down. One by one the Triage Carriers were brought down, necessitating replacements to be brought in. And yet, even with 3 fresh replacements jumped in, the memorial fleet was losing ground. The new Triage Carriers were once again overwhelmed by the Energy Neutralizers and the auto cannon fire of the Machariels. Once more, Triage Carriers were torn to shreds by the Project.Mayhem. fleet and then came the turn of the Battleships. As this was going on, Snuffed Out forces had scouted the fight and brought a 40 pilot Machariel fleet of their own to third party. The force landed near the Tama gate and started engaging the Project.Mayhem. fleet at close range. The memorial fleet used the opportunity and quickly disengaged, warping to the Nisuwa gate in the system and holding there. Snuffed Out forces meanwhile brought in 3 Triage Carriers of their own as the squared off against Project.Mayhem..
Once more, Project.Mayhem. prioritized the Snuffed Out Carriers over their Battleships. With Energy Neutralizers and auto cannons ripping apart the Capital ships, the Project.Mayhem. fleet from time to time switched to the Snuffed Out Machariels, destroying a few before focusing its fire once more on the Carriers. The memorial fleet having re-grouped on the Nisuwa gate had scouts report on the ensuing battle and decided to return to the field, landing 40 kilometers this time from the center of the fight. It tried to primary Project.Mayhem. ships but as the fight went own, it became very clear that Snuffed Out forces were breaking. After losing their last Triage Carrier, Snuffed Out forces bailed, their ships waiting their aggression timers before jumping into Tama and leaving Project.Mayhem. to focus its attention back to the memorial fleet. After a quick fire exchange in which the Project.Mayhem. Machariels decimate a few of the remaining memorial fleet Battleships, the Fleet Commander for the memorial fleet decided to withdraw thus ceding the field to Project.Mayhem.. After securing the field and looting, the Project.Mayhem. fleet safely extracted from the system, putting an end to the fighting. Battle report for the Kedama system can be found here. All told the battle lasted 35 minutes with local hosting less than 200 pilots and Time Dilation noted but subsiding quickly and not impacting the fight in any meaningful way. The memorial fleet lost 6 Carriers and 16 Battleships, along with other support reaching 27 losses for 32.52 Bil ISK damage. Project.Mayhem. lost 1 Battleship, along with other support reaching 3 losses for 2.96 Bil ISK damage. Snuffed Out lost 3 Carriers and 4 Battleships, a total of 7 losses for 10.28 Bil ISK damage. All screenshots in this article were provided by ISD and used with its expressed permission. So are machs the new ishtars? wonder how long till ccp decides they are too imbalanced and “balances” them. Pirate BS are the new “ishtars” due to how cheap they are, everyone can afford a 100-150 machariels per fleet. Leave a Reply to bonzikat Click here to cancel reply.